Peanuts are one of the popular and most versatile snacks foods in the world today, capable of being consumed raw, ground into a peanut butter spread or sandwiched in a candy bar. In the United States, peanut and peanut butter account for 67% of all nut consumption, tailgated by almonds at 13% and other tree nuts such as cashew nuts and macadamia nuts at 12%. 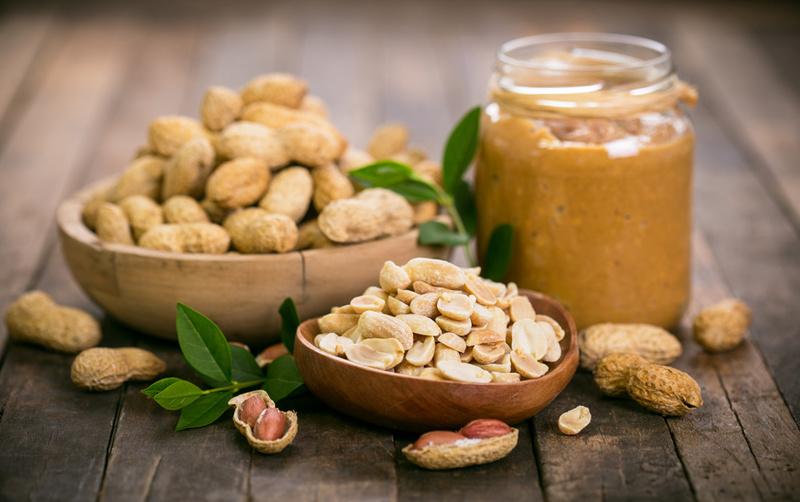 Peanuts are a highly nutritious protein food that can be easily processed into many food products, chiefly peanut butter, peanut oil, peanut, peanut flour and roasted peanuts. Peanut flour is processed from top grade peanuts that have been cleaned, blanched, roasted and grounded into a fine powder. The process removes almost half of the oil out of peanuts leaving the paste with a strong roasted flavor. Partially defatted peanut flour is a good source of natural and balanced plant protein to human food as well as animal feeds. It contains about 47% to 55% of protein, and unlike other protein meal, defatted peanut flour has an appealing taste and smell of peanut butter flavor. Peanut flour is widely used in food industries, particularly in making confectionery products, frostings, bakery mixes, nutritional and cereal bars. Here are five common uses of partially defatted peanut flour. Boost product’s shelf life by reducing peanut oil content available in a formula. Imparting desired texture on finished products by blending fats with partially or fully defatted peanut flour. Prevention of oil migration,which cause more rapid blood formation in chocolate confections. Serve as a flour alternative in majority of baked goods and gluten-free breads. Crumb topping as a seasoning blend for chicken and seafood. Peanut flour can also be used to add the nutty flavor to smoothies, shakes, sauces, and gravies. Nutritional value of nuts and peanut flour Common peanuts products like peanut butter and oil are popularly known for their nutrition and health values. Peanut flour is no exception when it comes to heart health benefits. It’s a valuable cooking ingredient that helps cell repair and growth, particularly for vegetarians. The flour is gluten-free and has low carb content, making it ideal for people with diabetes and those who suffer from Celiac diseases. Fully or partially defatted peanut flour is highly concentrated in monosaturated fats and other nutritional components for a healthy heart. It’s a good source of potassium, zinc, folate, phosphorus, magnesium, and niacin. Peanut flour is rich in arginine, a vital element that helps to relax blood vessels and boost blood circulation. When introduced into a balanced diet, peanut flour can help manage weight.